The function of Urban-VWT is to simulate the air flow around individual or groups of buildings, incorporating measured wind statistics to obtain yearly averaged results for the modelled wind direction. Urban-VWT is intended for architects, building engineers, urban planners, local authorities and environment engineers. 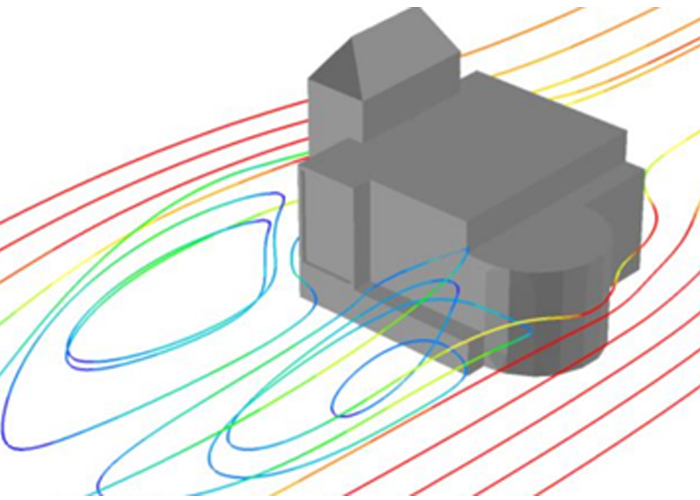 Urban-VWT enables users to visualise, understand, evaluate and refine the air-flow patterns in steady-state scenarios, in micro- as well as macro-scale. Transient (time-dependent) conditions are straightforward to implement, if required.